The road to better coverage. Protecting every link in your supply chain. Protecting all your moving parts. Coverage that goes the distance. Protecting you at every turn. 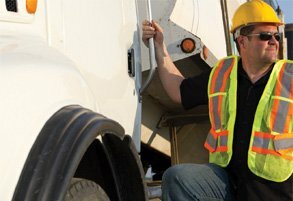 The ATA Workers’ Comp Fund is the proven choice in workers' compensation coverage for transportation, distribution, supply-chain logistics, and allied companies. Since 1993, The Fund has been providing its members with stable, low-cost workers’ compensation coverage, combined with an industry-leading Loss Control and Safety program. In addition, our expert Claim Management team delivers results that can have a positive impact on your company’s bottom line. Loss-sensitive deductible options are available, and we offer a seamless Cross Border program for those employers with multi-state operations. As an added benefit, dividends are returned to eligible members for all coverage that we provide. We’ve got you covered. Put our exceptional, industry-leading workers’ compensation program to work for you. For competitive rates and unmatched member benefits, inquire now. Let us introduce you to all the great benefits you receive with your membership.